It seems I’m always posting about batteries I’ve found. The new GoPro 7 is a major improvement over previous generations. The last GoPro I really found well designed was the 4. But the first thing I need for my GoPros is always batteries. Since this GoPro now does 4k extremely well, and I put these GoPros through aircraft work on waterlogged floats and freezing windchill, a very good battery is essential. I’ve often turned to Watson to handle battery needs. And as expected, they provided a perfect solution for the GoPro. It’s important to point out here that when I began searching for the battery for this generation GoPro, I quickly noticed the standard mAh for the 7 is 1220 mAh. The Watson though is 1250 mAh, which means more video time from your battery. 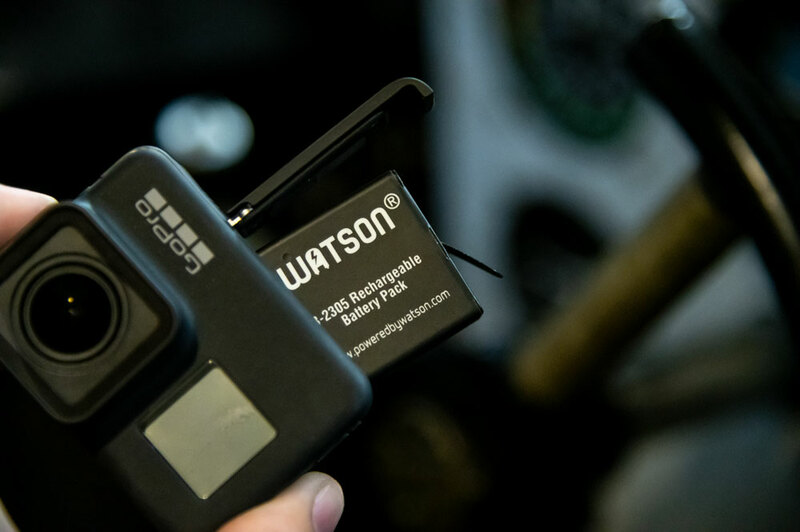 The Watson Mini Duo Charger Kit was the solution to keeping my GoPros running.